The community of Neustift in Tyrol is not only one of the biggest Tyrolean municipalities (in terms of land, not in terms of population), but also among the most popular ones in terms of tourism. In total, more than one million night arrangements are sold every year in Neustift - mostly due to excellent skiing opportunities. Neustift literally means "new monastery" - somewhat misleadingly so, since there is neither a new nor an old monastery in the community. However, the most recognisable landmark of Neustift is a sacral building: The parish church of St. George, Tyrol′s second-largest church outside of Innsbruck. Speaking of Innsbruck: The capital of Tyrol is situated only some 25 kilometres north of Neustift and therefore, within very easy reach. This and the scenery of the Stubaital Valley certainly helped a great deal with pimping out the village to international tourism. The entire Stubai Valley altogether with the Stubai glacier (excellent for glacial summer skiing) is packed with hotels and many of the towns have lost most of their local charm - nevertheless, the valley is considered to be among Tyrol′s most beautiful. It is embraced by mountain ranges that include an impressive 109 mountains that are higher than 3,000 metres. The area around Neustift was first populated by Celtic tribes and became part of the Roman province of Raetia in 15 BC. Many names in the Stubai valley are of Latin origin. The following centuries were probably rather uneventful. The oldest written record of settlements in the Stubaital Valley dates back to the year 1000, when it was referred to as "Stupeia". The administration was formally divided into five communities in 1400: Telfes, Mieders, Schönberg, Fulpmes and "Im Tal" ("in the valley). The latter one was a reference to modern Neustift. It was called "Niwenstift im tal ze Stubai" in a document from the 14th century, but colloquially, it was simply called "in the valley" for many centuries. Even today, the locals are often called "Tholer". Around 1500, the Stubai Valley and Neustift were popular hunting destinations for Emperor Maximilian I. Many anecdotes and hunting stories of Maximilian are still being told in Neustift and surroundings. In 1505, the Emperor built a small chapel. A few years later, in 1516, the first church of Neustift was opened. It burnt down in 1772. However, four years before this incident, the people of Neustift had already started to build a new church. The priest and architect Franz de Paula Penz was responsible for the design - he is considered to be one of the most important Tyrolean architects of the late Baroque period. Only in 1812, Neustift became a parish and it wasn′t until 1868 until it got its very own priest. Given its size and that it is a late Baroque church, it is rather plain from outside; only the interiors are very splendid, most importantly the frescoes. Neustift and the Stubaital Valley have a reputation for its close ties with traditions and customs. This applies mostly to things that are celebrated in public, since this is tourism-friendly. It is arguable to what extent certain fests and celebrations are still authentic. What was once rooted in the circle of the seasons and agricultural life is now often adapted to entertain tourists. 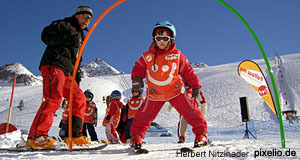 Nevertheless, you will find more of Tyrolean culture in Neustift than in many other towns of the province. The tourism circles mostly around hiking during the summer season and skiing during the winters. Sightseeing attractions nearby include the previously mentioned capital Innsbruck; Stams and Seefeld are not far, East of Innsbruck; West of the capital you will find Hall and Wattens.